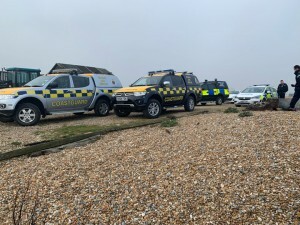 Coastguards had an early morning wake-up call on Wednesday morning, when an unexploded ordinance device was found on the beach. 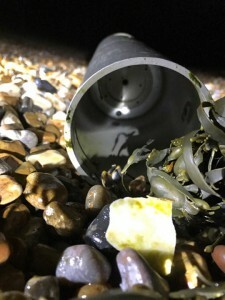 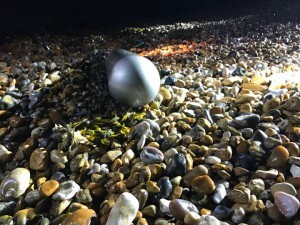 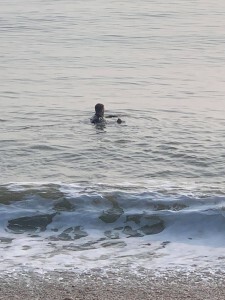 The device was found on the beach at Dungeness last night at around 9.10pm onTuesday the 16th but Coastguards from Dungeness and Folkestone Coastguard Rescue Teams were called and located the item. 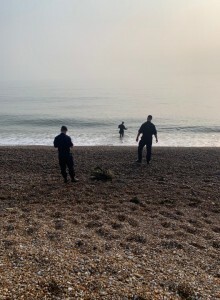 the team had an early start after the decision to blow up the divise was made. 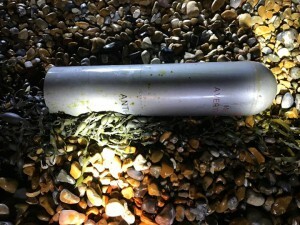 The Royal Navy explosive ordinance team arrived and assessed the device before moving it into the sea for detonation.